For those of you who have accidentally stumbled across this page, my name is Eleanor Hawken and I’m a writer and editor of children’s books. I love the end to the blue lady it is the BEST book I’ve ever read!!! OMG! I love how your imagination runs wild!!! 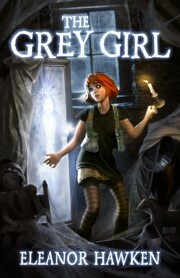 When is the Grey Girl coming out? My daughter loves books. You came to her school (St Margaret’s Bushey), she has now bought and read all your stories. You’ve inspired her! She has a letter she’d like to send to you – is there anyway to do this, please? I’m so thrilled to have been selected as the winner! Mega excited! And thank you so much for your letters, they’re fantastic. I have sent replies to you – you should receive them very soon. Hola me ha gustado mucho tu libro de ¡Peligro hombres lobo! es muy interesante. He dicho a mi padre que me tiene que comprar otro libro tuyo. Hi I really liked your book of werewolves Danger! It is very interesting. I told my father that I have to buy another book of yours. Hello Eleanor I have read one of your books and so far it is amazing and also sharing it with my friends please write back. Yay! Thanks for letting me know that you loved one of my books 🙂 which one did you read? What was your favourite bit? I love Sammy Feral’s Diaries of weird it is amazing. The best bit is when his parents turn into werewolves . hey Eleanor I want to send a letter to u but how ALERT! hi Eleanor i love your your book ‘Sammy Feral Diaries Of Weird ‘ it is an amazing book. I have read all of your books.I really hope their will be even more coming soon ! thanks! YOU ARE AN AMAZING WRITER !!! Hi there! Please tell me how is name of Python in Zoo Feral ? My daughter ask me, but I forgot it. Thanks in advance! Sammy Freals diary of weard is my favourite book !!!!!!!!!!!!! I would love a book with a girl named Caterina and her mouse is a vampire . Pretty please. When are you going to publish the 4th sammy feral book? Your books are amazing. My 8 year old “found” your books, he is hooked on them and will spend all day reading them if I let him. I have introduced his older brother (who puts up a fight very time I ask him to red anything) and he too is now hooked on the Sammy Feral books. Your books have improved his reading and inference majorly, so thank you for that. Is your other series The Blue Lady for girls or boys?? My family came across your Sammy Feral series, in the ‘Nudged’ audiobooks from our library. Steve Perring narrated them perfectly. All of my boys, (aged 5, 7 & 8) loved the books. They really are fantastic and I am telling everyone that I know. As a parent, I am always on the lookout for books that appeal to young boys, without being utterly disgusting. Thanks from a mother and a primary school teacher, they are truly captivating stories. We hope there are more! Thank you for your message and sorry about the tardy reply (I’m currently on maternity leave!). I love hearing that boys especially are enjoying my books. There are five Sammy Feral books (Sammy Feral’s Diaries of Weird, Yeti Rescue, Hell Hound Curse, Dragon Gold and Vampire Attack). I’ve also written two books in the Felix Frost Time Detective series (Roman Riddle and Ghost Plane), which your children might also enjoy reading! Thank you for your lovely message. What kind of things do you like to write? Please can you tell me whenever you will do a talk and as my teacher usually tells me to do when I write to my favourite author, please can you add a character called Zoey or whatever you want, who tries to help Suzy, like Frankie ( can she come back to?) There is so much to talk about, you are so inspiring and such a good writer, (I may keep going on about this, sorry but,) seriously , you really have inspired me to write brilliantly really . I am writing this here at my bed time, goodnight! My son Finnegan loves your sammy feral books. Do you have any plans to write more in the series after vampire attacks? My son Finnegan loves your sammy feral series. Do you have any plans to write more in the series after vampire attacks? Hey, I’ve read so many of your books and I love them! Ever thought about making a film of the blue lady? Also please do another book about frankie!!! Sammy ferals diary of weird is my favourite book. I borrowed from the library and read it 2 times. I made a puppet theatre for a school project of the book too. I can’t wait to read the over books now. Hi! Did you by chance go to St. Margaret’s School, Bushey?! Yes! I was a boarder there for 5 years. I was wondering if I could get a new book jacket for yeti rescue, I thought if I taped on the cover to the book for my son it would be good, but I butchered it- mom fail. World Book Day, a Bit of Picasso and Wonderful Witney!